Thank you for joining us at the 9th National Farm to Cafeteria Conference! 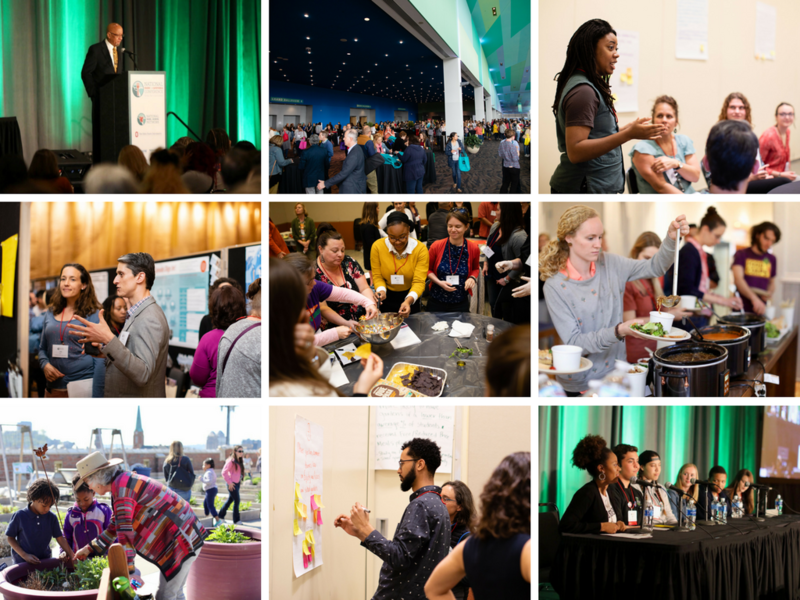 Our 2018 gathering convened nearly 1,000 farm to cafeteria stakeholders from across all 50 states, Washington, D.C., U.S. Territories, Canada and more for three inspiring days of learning, networking and movement building. See highlights of our gathering here. Resources are accessible via the conference mobile app. Visit www.farmtoschool.org for more information about future conference and to find more opportunities to get involved in farm to cafeteria in your community. Looking for sessions resources and evaluation surveys? Find them in your conference mobile app! Every workshop, short course, field trip, and plenary session in the app includes a link to the session's evaluation survey and links to available PPT presentations and other relevant resources. Learn more here. The National Farm to Cafeteria Conference is a biennial event, and the next gathering is slated to take place in 2020. Sign up for our e-newsletter to stay up-to-date on information about the next conference, as details become available.